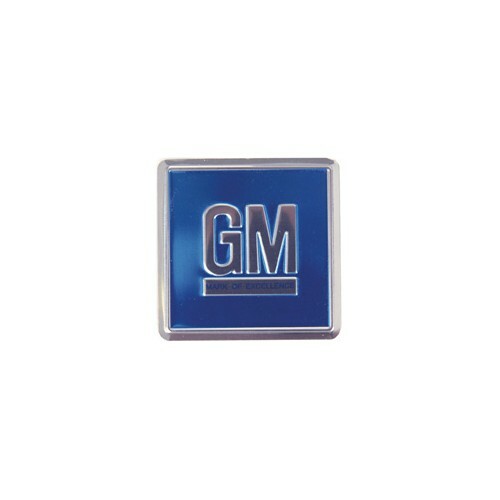 GM Blue colored embossed metal foil door jamb emblem. Accurate reproduction for 68-70. Self adhesive back. Officially Licensed GM Restoration Parts.